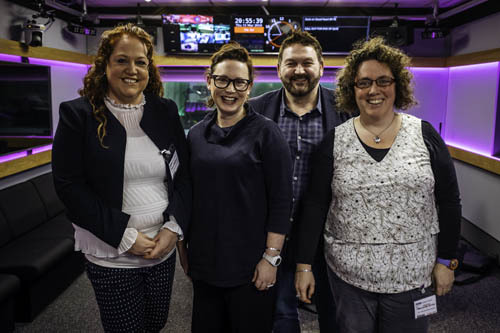 Made In Ulster is a new four-part discussion series for BBC Radio Ulster, in which presenter William Crawley and guests explore a diverse range of topics drawn from Ulster-Scots history and culture. The series received funding from Northern Ireland Screen’s Ulster-Scots Broadcast Fund and is the second radio project to receive Northern Ireland Screen support. Beginning on Sunday 22 April at 6pm, the series uncovers the stories of the men and women who contributed to religious and intellectual life, history, politics and social reform and to the music and literature of Ulster-Scots. At the heart of each programme is a discussion about ideas, from the Presbyterian faith that inspired the Ulster women who campaigned for female suffrage, to the ideas of liberty and equality that Ulster-Scots migrants of the early 1700s carried across the Atlantic and which influenced the American War of Independence. Among William’s guests in the series are Ulster-Scots writer and broadcaster, Mark Thompson; Dr Diane Urquhart (University of Liverpool); Dr Andrew Holmes (Queen’s University Belfast); broadcaster Ralph McLean; Dr Gillian McIntosh; journalist & writer Bruce Clark; Dr Leanne McCormick (Ulster University), and Professor David Livingstone (QUB). In episode one, William and guests, Dr Diane Urquhart, Dr Gillian McIntosh, and Dr Leanne McCormick consider the stories of three Ulster women in public life – Mary Ann McCracken, Isabella Todd, and Lady Londonderry. Episode two sees William and his guests, Mark Thompson and Ralph McLean, explore how religious music is at the heart of the Ulster-Scots story, as they trace surprising connections linking Hank Williams and John Calvin. While in episode three, William and guests, Dr Andrew Holmes, Professor David Livingstone and Professor Greta Jones discuss the clash of science and faith in late Victorian Belfast, provoked by the publication of Charles Darwin’s theory of evolution. In the final episode of this series William and his guests, Mark Thompson, Bruce Clark, and Professor Brian Walker consider the role of the Scotch-Irish in the American Revolution and political thought in the United States of America. Made In Ulster is a DoubleBand production for BBC Radio Ulster in association with the Ulster-Scots Broadcast Fund.